Many studies have found acupuncture to be as effective as commonly used insomnia medications. Acupuncture can be a powerful tool against insomnia. The first time I tried acupuncture, I was nervous. I wasn’t afraid of needles, per se, but the idea of someone poking them into my skin still made me highly uncomfortable. But to my pleasant surprise, I found acupuncture to be nothing like I thought it would be. The needles didn’t hurt and instead of something scary, my regular treatments turned into something I looked forward to. I came to respect and trust my acupuncturist as a valuable partner in reaching better health, and the treatments became a welcomed hour to relax and get rid of stress. And it can be a powerful tool against insomnia too. Insomnia can cause real problems for your daily functioning and for your long-term health. Lack of sleep can lead to brain damage and memory problems. The most common treatment, sleeping pills, can cause even more harm than good; many of these are anticholinergic drugs, which are linked to memory loss and dementia. Sleep medications can be especially dangerous for youth, too. So if you suffer from insomnia, it is important to turn to natural treatments like acupuncture for insomnia instead of these potentially harmful pharmaceuticals. 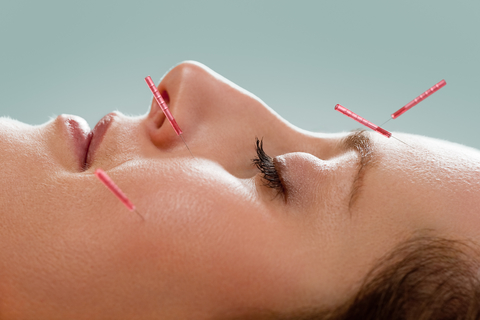 Acupuncture is a traditional Chinese medicine, dating back thousands of years. A relatively painless procedure, acupuncture uses very fine needles at specific points on the body to treat a variety of conditions ranging from back pain to asthma to irritable bowel disease. There are many theories attempting to explain why acupuncture works as well as it does, ranging from the way it may enhance the activity of pain-relieving endorphins to how it can stimulate blood flow to specific areas of the body. To read more about acupuncture and how it works, go here. In one study, patients either received acupuncture once per week or took 10 mg of zolpidem every night. Both groups showed similar improvements in sleep quality, suggesting that the acupuncture treatment was as effective as the pharmaceutical treatment. But whereas drug treatment can result in serious side effects, acupuncture had little side effects and is generally quite safe. In another study in Evidence Based Complementary and Alternative Medicine, researchers looked at the effects of acupuncture, a sleeping pill called estazolam, or placebo in insomnia patients. People who received either acupuncture or the sleeping pill had significantly better improvements in sleep compared to those in the control group. 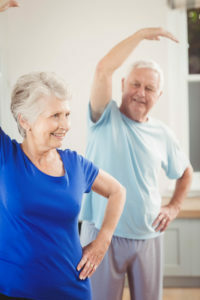 But compared to the other two groups, the acupuncture group reported higher sleep quality and vitality, along with lower sleepiness and daytime dysfunction. The group taking estazolam, on the other hand, reported higher levels of daytime dysfunction. What’s more, the improvements in the acupuncture group were maintained at follow up, while the sleeping pill effects were shorter lasting. Acupuncture may be particularly helpful for specific groups of people with problems sleeping, such as postmenopausal women experiencing sleep disturbances. If you just can’t fall asleep or sleep through the night, it is time to find an effective and natural solution. To see if acupuncture is right for you, get started today by finding an acupuncturist in your area. Be sure to find a trained, licensed acupuncturist. Learn more about the benefits of acupuncture, as well as how to find an acupuncturist near you by clicking here. What are your favorite natural sleep remedies? Have you ever tried acupuncture for insomnia? Did it work? Share your experience in the comments section below. Asian J Psychiatr. 2012 Sep;5(3):231-5. Evid Based Complement Alternat Med. 2013;2013:163850.
acupuncture for, acupuncture treatment, acupuncturist, alternative medicine, asthma, back pain, bowel disease, brain, brain damage, complementary and alternative medicine, dementia, endorphins, find an acupuncturist, health, how to find an acupuncturist, insomnia 2, irritable bowel, lack of sleep, memory, memory loss, memory problems, natural sleep, natural sleep remedies, natural treatments, pain, postmenopausal, postmenopausal women, side effects, skin, sleep, sleep disturbances, sleep quality, sleep remedies, sleeping pills, stress, what is acupuncture.